Due to busy and hectic lifestyle, people suffer from different type of disorders like stress and many digestive disorders. Nowadays people use to eat unhealthy diet and face many health issues. Stress is major cause of digestive problems. Irritable bowel syndrome is one of the most common digestive disorder which may be due to stress, lifestyle and unhealthy diet. Ayurveda provides herbal treatment for the IBS with the help of herbs without causing any side effects. 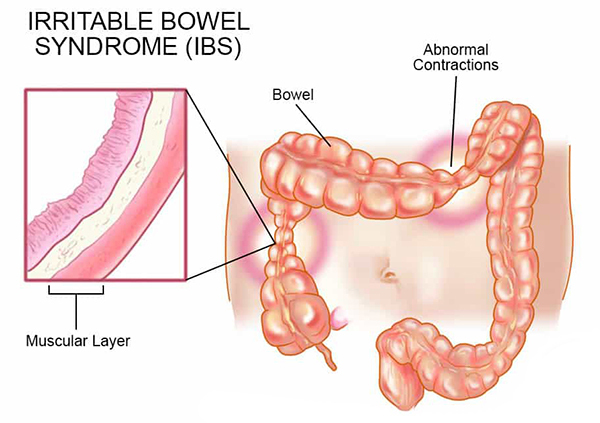 Irritable bowel syndrome (IBS) - It is also known as spastic colon, irritable colon, mucous colitis and spastic colitis. It is inflammatory condition of small intestine which is characterized by abdominal pain, discomfort, irregular bowel movement (hard or soft bowels). Vata Grahani – It is due to imbalance of vata dosha in body which is characterized by constipation. Pitta Grahani – It results in the imbalance of pitta dosha which results in diarrhea. Kapha Grahani – This results in kapha dosha imbalance. Tridosha Grahani – It involves all three dosha i. vat, pitta and kapha. Cause of the disease may vary from person to person. Some people have sensitive intestines. It is combination of various factors like stress, hereditary, inflammatory, eating habits, depression, and lifestyle. As per Ayurvedic cause, they may be like fasting, excessive food intake, cold food intake, heavy food intake, dry and junk food, suppression of urges, improper sleep habits, anger, grief, fear, low digestion strength, travel, change in season, all being contributory factors to this disease. Vata predominant IBS – Abdominal pain, increased frequency of stool, altered bowel habit, headache, distention of abdomen, debility, chest pain etc. Pitta predominant IBS – Burning sensation in the chest, belching, headache etc. Kapha pre-dominant IBS – Mucus in stool, feeling of incomplete evacuation of the bowel, vomiting, nausea, heaviness of abdomen, flatus. Tridosha predominant IBS- Gurgling sound in abdomen, bowel with mucus, constant urge to pass stools, intermittent episodes, and increase in frequency of bowel. Ayurveda mainly focus on the restoration of the functions of digestive system by balancing all three energies i.e. vata, pitta and kapha. Ayurveda mainly uses the herbs which help to remove the toxins from the body. As stress is major cause of this problem, treatment consists of lifestyle and diet guidance. It involves the herbs which are used to nourish the nervous system and help to calm the mind. There are different herbs which are used to cure the problem form root level without causing any side effects. 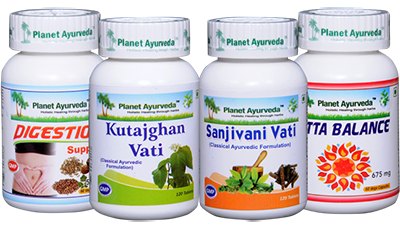 Planet Ayurveda offers herbal combo pack of different formulation which provides the relief from IBS. These are pure herbal formulation which are free from chemicals, preservatives and have no side effects. 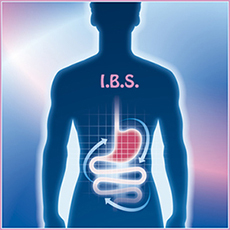 Planet Ayurveda’s provides herbal treatment to get rid of IBS named as IBS CARE PACK. Haritaki (Terminalia Chebula) - It helps to clear bowel and prevents the formation of gas. It acts as very effective herb for constipation, flatulence and good for digestive system. Sounf (Fenniculum vulgare) - It is common used spice in kitchen that provides relief from gas, acidity. Bhbhitaki (Terminalia bellerica) - It improves whole digestive system. Dhaniya (Coriandrum sativum) - It is very common herb that subsides the symptoms of IBS such as gas, indigestion, acidity and constipation. Pippali (Piper longum) - It provides the strength to whole digestive system. It also increases strength of agni (fire) therefore it helps in relief from digestion related problems. DOSE- 2 capsules twice daily with plain water after meals. These tablets are prepared from herb Kutaja (Holarrhena antidysentrica). This herb has great medicinal importance which help to balance the all three doshas in body. It has medicinal properties like carminative, aphrodisiac etc which make it useful for chronic diarrhea, dysentery, intestinal worms. It stimulates the digestive fire (agni) and restores proper digestion by normalizing the function of garhani. So it relieves dysentery, diarrhea, digestive problems, IBS. DOSE- 2 tablets twice daily with plain water after meals. It is another effective formulation of Planet Ayurveda that means " One, who gives life". These tablets are very effective against digestive problems. The herbs used in this formulation have ability to pacify the vata and kapha dosha in body. Guduchi (Tinospora cardifola) - This herb has ability to enhance the immunity of body and balance all three doshas. It provides the strength to the body to fight against different health health conditions like indigestion. Ardraka (Zingiber officinale) - It also enhances the immunity of body. Vidanga (Embelia ribes) - It is carminative and digestive stimulant in nature. Vacha (Acorus calamus) - It contains bitter substance called acorin that has positive effect on digestive system and nervous system. Amalaki (Emblica officinalis) - It enhances the immunity and clears all toxins from body therefore it fight against all health issues. Bhbhitaki (Terminalia bellerica) - It is good for various digestive problems as it act as laxative. Haritaki (Termianlia chebula) - It acts as natural laxative which is used for constipation and abdominal gas. These are herbal capsules which help to balance the pitta dosha in body and provide relief from pitta related problems. Praval pisti (Coral calcium) - It is rich source of calcium that helps in balancing pitta dosha and provides calcium to body. Akik pisti (Agate calcium) - It helps to balance the vata and pitta doshas and related problems. Jawar mohar pisti (calcium compound) - It is the source of calcium which is effective in GIT problems. Giloy (Tinospora cardifola) - It enhances the immunity of body and good for complete health. DOSE- 1 capsule twice daily with plain water after meals. 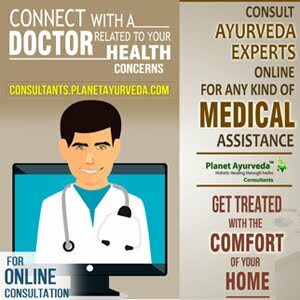 Along with Ayurvedic treatment one should take care of proper diet and lifestyle for accurate results because diet plays a crucial role in management of any disease. For the treatment of IBS diet should be balanced and healthy. Avoid fried foods, meats, oil, dairy foods and other fatty foods. Avoid consumption of caffeine, and carbonated beverages. Enhance the intake of fiber, and have foods like beans, oatmeal, apples, strawberries and grapes. Drink more water daily. Use of Ginger is very good. Do exercise on regular basis.